Brand New carpet in February 2019! Well maintained 1-level unit on top floor so nobody is living above you! 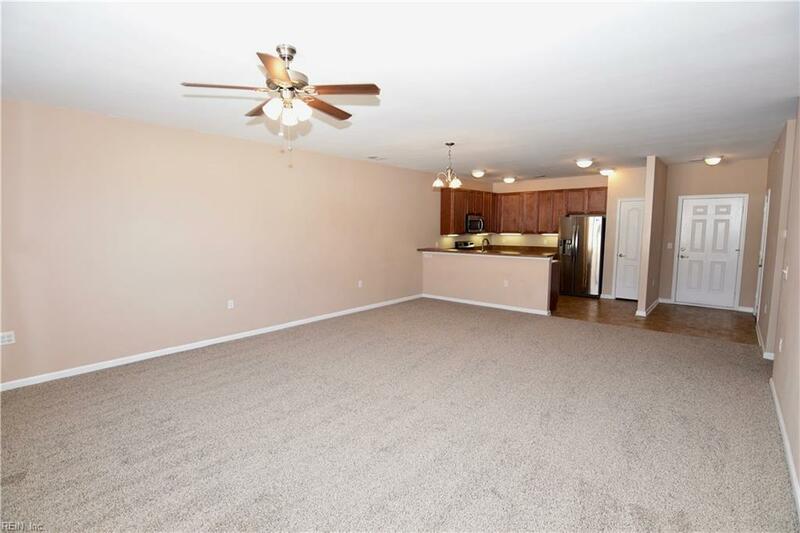 Inside is an open and airy floor plan with an expansive great room, 9 foot ceilings throughout and ceiling fans in all the rooms. 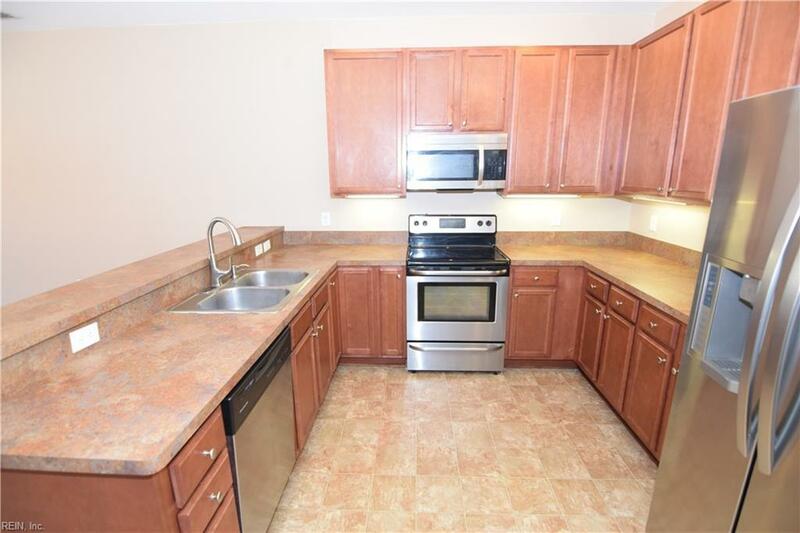 The kitchen is large and open with stainless steel appliances, under cabinet lighting and a custom chalkboard wall (seller is willing to paint over the chalkboard wall if buyer prefers). 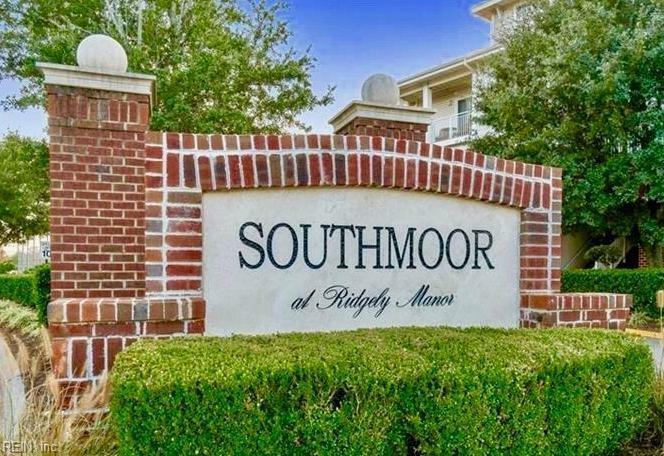 There are 2 large bedrooms and 2 spacious full size bathrooms. The master suite has his and hers closets and the master bath has its own separate linen closet. The GE front-load washer and dryer is also included and will convey to the new owners. 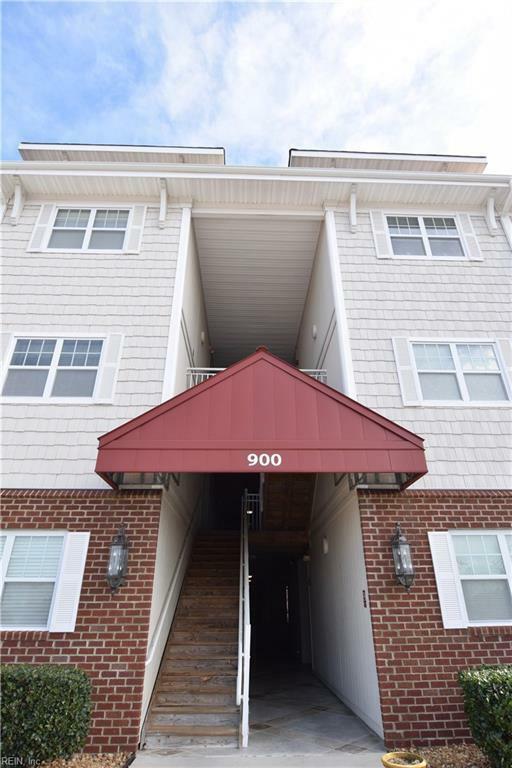 Located close to Virginia Beach Town Center, IKEA, Outlet Mall, Interstates, Military Bases, Beaches, Restaurants and Shopping. Its a short distance across the street to the new Williams Farm Rec Center. Come and check it out today!